Professionals from the Cedar Valley are taking their leadership skills to the next level through the Iowa Association of Business and Industry’s (ABI) Foundation’s Leadership Iowa program. For the last 34 years, ABI and the ABI Foundation have identified many of Iowa’s best leaders and helped to equip them with knowledge and tools to make a difference across the State. 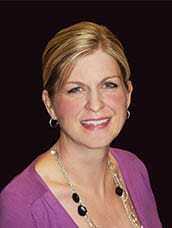 Dr. Melissa Reade, Leader Valley Program Director with the Greater Cedar Valley Alliance & Chamber, and a 2015-2016 graduate of Leadership Iowa, will serve a one-year term as the Leadership Iowa Program Co-chair. Her role will be to assist in setting the curriculum, lead planning and execution of the monthly class sessions through co-facilitation of the topic, speakers, and activities. Program co-chairs provide the link within a session and between sessions, so participants see the connectivity from month to month. She will also serve as a member of the Leadership Iowa Board of Governors. Each year, 40 talented individuals are selected from a large applicant pool and are selected based on their individual merits, but also for the desire to achieve the best balance of candidates representing varied industries and different geographical areas. Four leaders were selected from Cedar Valley companies and organizations for the 2016-2017 Leadership Iowa class. Participating Cedar Valley leaders include: Jim Atty of Waverly Health Center; Jeremy Kauten of The VGM Group; Justin Marchant of Upper Iowa University; and Sharina Sallis of CUNA Mutual. The Greater Cedar Valley Alliance & Chamber is an active member of ABI. Information about leadership development opportunities in the Cedar Valley can be found at www.cedarvalleyalliance.com or by calling Steve Dust, CEO at (319) 232-1156. Dr. Melissa Reade, Program Director Leader Valley and Certified 7 Habits of Highly Effective People trainer, to co-chair Leadership Iowa 2016-2017 class.